Bambusa Bamboo Pillow Case Sets contain two pillow cases. 100% bamboo sheets allow you to experience the real beauty of bamboo. Bamboo sheet are highly absorbent and comfortable during those hot summer nights. Bambusa bedding feels like silk but is more durable and is machine washable. After shrinkage they will be very close to the specification provided by Bambusa (48 x 74 cm) as the that bamboo fabric is a little more stretchy than cotton fabric. All bamboo products are 100% biodegradable. Bamboo is fast-growing and it can reach a mature height of 75 feet in just 45 to 60 days. Bamboo regenerates naturally through an extensive root system that sends out an average of four to six new shoots per year. No land degradation or environmental upset occurs. Bamboo sequesters more carbon dioxide (CO2) and generates up to 35% more Oxygen (O2) than an equivalent stand of trees. There are over 1000 different species of bamboo on Earth. The type of bamboo used in Bambusa products is called Moso bamboo which is not the type of bamboo eaten by pandas. 'Bamboo kun' is a natural antimicrobial agent that gives bamboo a natural resistance to pest and fungi infestation. This inherent quality of bamboo means that it is not necessary to treat the bamboo crop with pesticides or chemicals. Bamboo is grown completely naturally. 'Bamboo kun' has been tested by the Japanese textile industry to show over 70% elimination of introduced bacteria which means bamboo fibre products stay fresher longer and do not hold odour. Under a thousand times magnification with an electronic microscope, a bamboo fibre cross section is full of elliptical pores, like a blood capillary, whereas a cotton fibre cross section is full of round solid spots, like chopsticks. The hollow structure of a bamboo fibre promotes moisture absorption and evaporation making it more breathable than cotton. 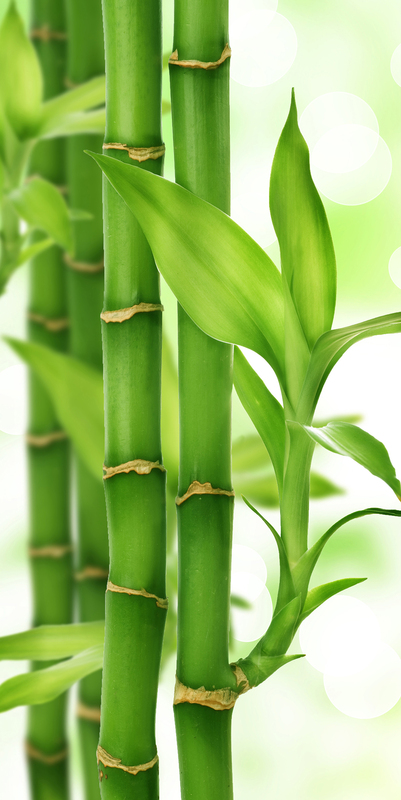 All Bambusa products are made of cellulose from organically grown bamboo. Both the bamboo forest and the bamboo crops we use are certified organic. The bamboo forest is certified by the Organic Crop Improvement Association (OCIA) and the bamboo crops are certified organic by the USDA seal. The bamboo fibers used by Bambusa to manufacture and weave its products have obtained the FSC Chain of Custody Certification – meaning that from the bamboo forest to the fibers, all successive stages of production meet the criteria and rules requested to assure a responsible stewardship of the world’s forests. 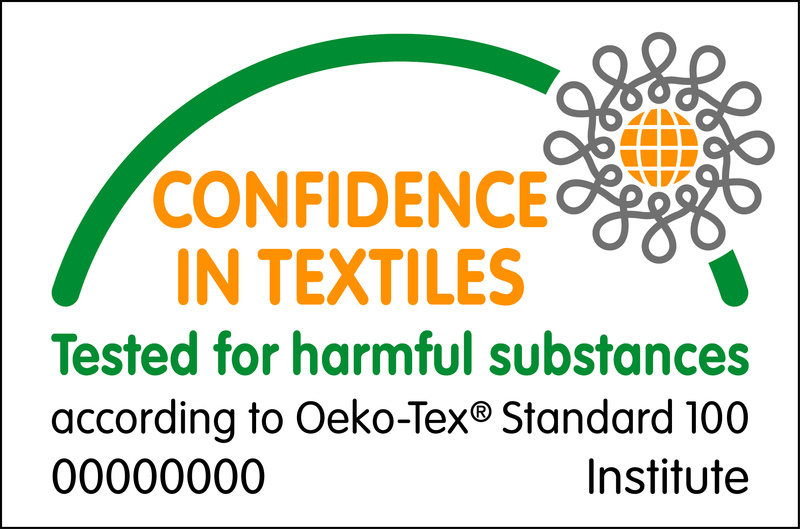 All the yarn used by Bambusa production is OEKO-TEX 100 approved (certification number: BEFO 039477) and has been approved every year for the last 5 years. The producers of Bambusa yarn use low impact chemicals and a closed loop system which does not allow any of the chemicals used in production to leave the factory. All the chemicals used in production and dying of Bambusa yarn are recycled. Machine wash at low temperatures (30 degrees or lower). Bambusa recommends products are line dried or tumbled dry on a low setting if required. Bambusa bedding products are twill woven, some shrinkage may occur after first wash but that is normal for organic bamboo fibre. Bambusa means bamboo in Latin. Bambusa's mission is to contribute in reducing the harmful human footprint being left on the planet. We believe good quality products for modern consumers should not have to be produced with detrimental impacts to the environment. Bambusa provides bamboo fabric which is superior to cotton, feels amazing and is just as gentle to the world we live in. The journey of Bambusa started from the manufacture of bamboo baby products and gradually progressed into bamboo products for you and your home. All Bambusa products are made of cellulose from organically grown bamboo. Bambusa packaging is 100% recycled and all Bambusa packaging reaches the 3R standard – Reuse, Recycle, Reduce.